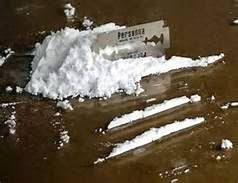 A joint piece of research conducted by the UPV/EHU, the Basque Institute of Forensic Medicine, and the Biomedical Research Centre Network into Mental Health (CIBERSAM) of the Carlos III Institute of Health links, for the first time, the increase in sudden cardiovascular death with the recent consumption of cocaine. In people in the 19-49 age bracket this risk is quadrupled. In fact, cocaine consumption doubles the risk of death of cardiovascular origin that can be attributed to smoking, and becomes the main risk factor among subjects under 50. What is more, this study is the first one conducted using forensic samples taken from deceased individuals. So they examined all the sudden deaths that underwent forensic analysis and which took place in Bizkaia over a seven-year period, between January 2003 and December 2009. The post-mortem examinations were conducted by the only service existing in the province: the Forensic Pathology Service of Bizkaia of the Basque Institute of Forensic Medicine. The research has been published by the specialised journal Addiction, the second most important international publication in the field of addictions in which a total of 20 journals are registered. The doctors Benito Morentin, Javier Ballesteros, Luis F. Callado and J. Javier Meana analysed the cases of 437 people who died owing to sudden cardiovascular death and whose decease was not due to disease or acute intoxication. To conduct the research, they also studied the cases of another 126 people who died of different causes. Research dataIn all the cases, a full post-mortem examination plus toxicological and histopathological studies were conducted, and the clinical data and circumstances of the deaths were reviewed. Gas chromatography and liquid spectrometry were conducted to detect therapeutic drugs, drug abuse and ethanol. What is more, a time link was established between recent cocaine consumption and death, and they took into consideration obesity, hypertension, diabetes and smoking in relation to other risk values for suffering a heart attack.